Summary: Wolverine receives a postcard that unleashes hidden memories of his past. He travels to the abandoned Weapon X facility for answers. The Beast insists on joining him. Other test subjects of the project soon appear -- Sabretooth, Maverick, and Silver Fox. Silver Fox reveals she sent the postcard in order to draw the four of them together so that their handprints could unlock a hidden room. Inside the room is the robot Talos, which is programmed to kill all surviving Weapon X agents. With Beast’s help, Talos is contained and the Weapon X facility self-destructs. Wolverine tries to convince Silver Fox that their relationship was real, but she refuses to believe him. After years of cameos, Maverick finally makes his first real appearance on the show. Silver Fox also makes her debut. The flashback of Sabretooth attacking Silver Fox on Wolverine’s birthday is taken from Wolverine #10. One of Wolverine’s flashbacks to the Weapon X days is clearly inspired by the flashbacks in X-Men #5-7. He’s seen fighting Omega Red again, although now he’s wearing his proper Team X uniform, as opposed to his X-Men uniform. The dates on Professor Thorton’s videos of the Weapon X agents are 10-17-73 and 11-3-73. I believe Barry Windsor-Smith has said the Weapon X serial was intended to be set during the Vietnam era, which might’ve been why the producers chose those dates. “Um, Actually…”: One of Professor Thorton’s videos describes Wolverine and Sabretooth’s healing factors. For some reason, this power is visualized by having Sabretooth morph into this furry early ‘90s costume! Later, when he takes his glove off, we see his skin is the same beige color as his costume. Amazingly, the animators seem to think Sabretooth’s skin is brown and beige, even though in the same episode we see him out-of-costume in normal clothes, pasty skin visible. Saban Quality: Wolverine and Sabretooth’s lip synch is briefly switched during one scene. 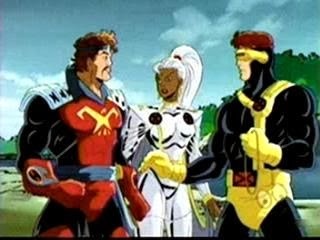 Cyclops’ headgear is also mis-colored twice during his brief appearance in the episode’s opening. I will say, however, that overall the animation continues to improve. When the episode briefly flashes back to Season Two’s “Repo Man,” it’s obvious that the newer episodes are more polished. Review: I believe this was another episode that aired in prime time, indicating that FOX seemed to think pretty highly of it. You might assume FOX withheld some episodes for prime time because the content wasn’t suitable for Saturday Morning, and the issues this episode adapts certainly have some adult themes, but this episode turns out to be fairly tame. 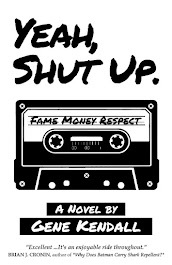 The title might be the only thing remotely objectionable about it, assuming you even get the reference. The hook of the story, obviously, is that you’re getting answers about Wolverine’s past. If you’re only familiar with the cartoons this is exciting new information for you, and if you’ve read the comics you get the satisfaction of seeing more obscure characters and plot points adapted for the series. If you’ve read any of Larry Hama’s Wolverine run from around issues #48-68, much of this will be very familiar to you, right down to Wolverine’s Lotus Seven and his keychain. 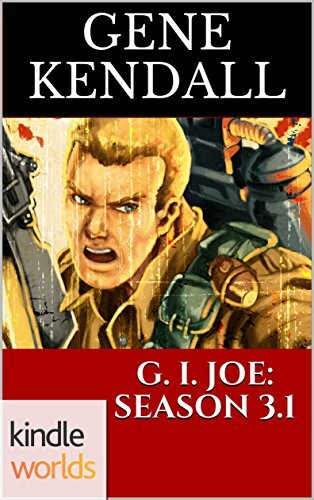 Unfortunately, Larry Hama was never asked to write for the show, which means much of the political intrigue and emotional weight from those old stories is gone. As a character study of Wolverine, this feels a bit empty. 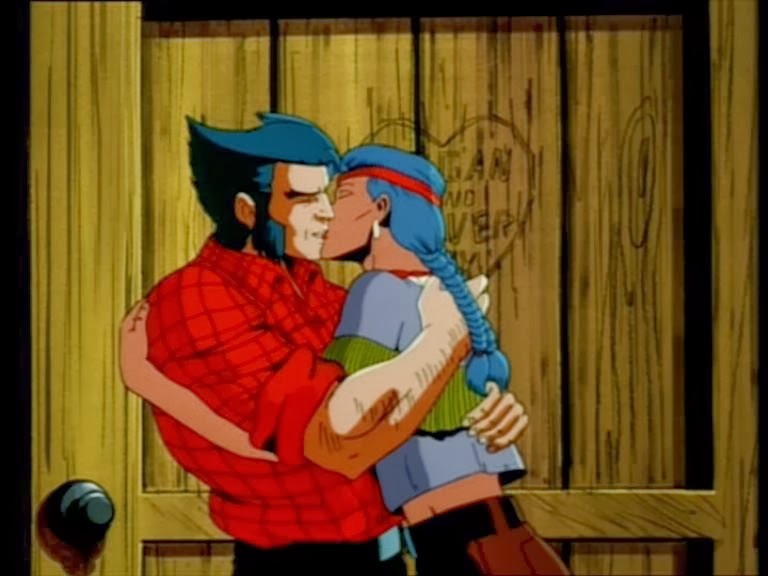 The episode addresses his frustration with his memory gaps and touches upon his feelings for Silver Fox, but even with Cal Dodd’s consistently strong portrayal of the character, Wolverine rarely feels sympathetic during the story. Heck, Wolverine was more interesting even in the previous episode, and that was largely a vehicle to introduce Nightcrawler. Casting Beast as Wolverine’s companion is also a strange decision, given that the two barely have a history together. I understand that he serves a plot function as the one who figures out much of the Weapon X facility’s technology, but his connection to Wolverine is so meager he just feels out-of-place for most of the episode. I barely noticed any of this when the episode first aired, however. It’s a story about Wolverine’s past, and that was still pretty exciting in 1995. Knowing that virtually all of this episode was coming straight from the comics, as garbled as the translation might be at times, also helped to make this one of my favorites. In retrospect, however, “Repo Man” would seem to be the superior Wolverine story from the show’s run. Summary: While on a ski trip in Germany, Gambit, Rogue, and Wolverine hear rumors of a local demon. After Gambit is injured skiing and brought to a local monastery, the X-Men discover the “demon” is Nightcrawler, a mutant living as a monk. A fellow monk, Brother Reinhardt, rejects Nightcrawler and incites a mob that soon invades the monastery. As the monastery burns, Nightcrawler saves Reinhardt’s life, teaching him a lesson in forgiveness. Later, after talking to Nightcrawler, Wolverine says a prayer in a church. Continuity Notes: Nightcrawler makes his first full appearance on the show. Mystique also appears in a flashback to his birth, in a scene obviously inspired by the infamous X-Men Unlimited #4. Approved By Broadcast Standards: The quaint villagers in this tiny German town have laser guns instead of hunting rifles. Review: There was once a rumor that FOX didn’t want to air this episode due to its religious content, but didn’t have much of a choice as very few episodes were ready for air at this point. I have no idea if this is true, but I’ve always wondered why exactly FOX would’ve been shocked by the religious material -- surely the script was approved at various stages before the episode was finished. Unless there were numerous internal changes at FOX, it’s hard to hard imagine that no one knew what was coming. Regardless, the open evangelism is kind of surprising in retrospect. I remembered Nightcrawler speaking of a generic belief in God in the episode, but totally forgot that he actually hands Wolverine a copy of the Bible at the story’s end. I can’t imagine that making its way to air today on a major network. Okay, NBC did air VeggieTales on Saturday Morning a few years ago, but I think most of the religious content was edited out. Whether or not you think Nightcrawler’s faith is an integral aspect of his character probably depends on when you were introduced to him. 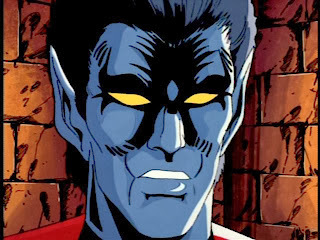 Dave Cockrum and John Byrne have always dismissed Nightcrawler’s Catholicism as a retcon, one they tried to talk Chris Claremont out of during their stints on the book. Cockrum always seemed particularly adamant, as a man without religious faith himself, that Nightcrawler wouldn’t associate himself with religion. I can understand why Claremont forged ahead, however. A person feared as a demon, yet one with a strong faith in God, is one of those “simple yet brilliant” ideas that superhero comics allow you to explore. I think it also helps to round Nightcrawler out as a character. Swashbuckler, team mascot, acrobat, romantic, Catholic. Claremont made it work. This specific episode is less successful in truly presenting all of Nightcrawler’s personality, but I think the target audience still received a decent idea of who Nightcrawler is supposed to be. While the references to Christianity are certainly present, and that final image of Wolverine reading the Bible can be viewed as either touching or just bizarre, the story focuses more specifically on the concept of forgiveness and the desire to make peace with the past. Wolverine wants to believe that he can be forgiven for his past, but says he’s seen (“and done”) too much. Gambit dismisses the concept of belief, declaring that we’re alone in this world. Rogue isn’t sure what to think. (This would’ve been a good time to recall Rogue’s own past as a criminal, but the show almost always chose to ignore it.) Cal Dodd delivers one of his strongest performances as Wolverine during the show’s run, creating a portrayal of a lapsed believer that far exceeds anyone’s standards for a Saturday Morning TV show. 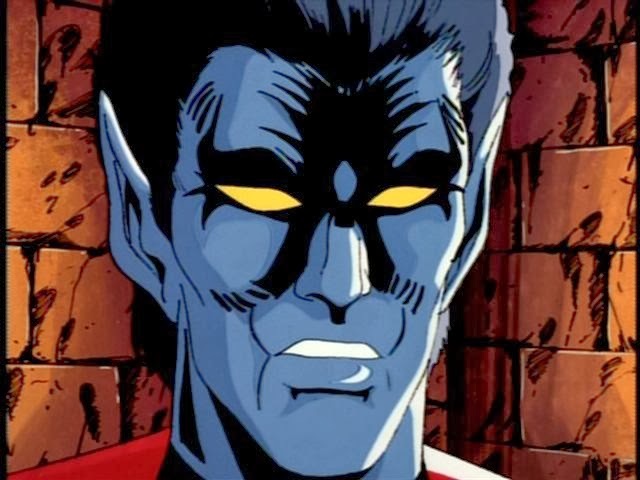 Adrian Hough’s Nightcrawler also feels genuine, and thankfully subdued given the show’s history with foreign accents. Not that the episode is free of clichés, of course. The German villagers are straight out of the 1800s, a laughable mistake that unfortunately imitates Nightcrawler’s first appearance from Giant Sized X-Men #1. There’s also a phony cliffhanger that has one of the monks proclaiming Nightcrawler to be his “brother,” only to reveal after the commercial break that he meant it in the “ecclesiastical sense.” That’s just cheap drama, and it was just as annoying the last time the show pulled that stunt with Storm’s “son” back in Season Two. Ignoring those hiccups, it’s hard to deny that this is an ambitious episode that has some of the series’ strongest character work to date. Summary: The Crimson Gem of Cyttorak is discovered in Asia by a researcher named Eugene. He is granted the Juggernaut’s powers, just as Juggernaut breaks into the X-Men’s mansion. Juggernaut falls ill as Eugene uses his newfound powers to impress women. Wolverine and Cyclops retrieve the Gem from Eugene, while Xavier gives Juggernaut psychic therapy. When the Gem is returned to Juggernaut, his powers return. He throws the Gem into space and then peacefully leaves the X-Men. The X-Men featured this episode are Xavier, Beast, Rogue, Storm, Cyclops, and Wolverine. Gambit briefly appears, ignoring his priority alert as he fixes a school bus, apparently in order to impress a woman. The Hulk makes an appearance in the Danger Room, as Xavier uses its robots against Juggernaut. Storm is wearing the civilian outfit she wore circa Uncanny X-Men #312, the first Phalanx storyline. Morph makes a brief cameo. Moira is escorting him in a wheelchair as he waves goodbye to Cyclops and Wolverine, who were on Muir Island for an unknown reason. "Actiiing! ": Cyclops’ delivery of “Women like guys to be themselves…” while lecturing Eugene has always made my skin crawl. And I think we all learned years ago that women really want guys to act like Mystery from VH1’s The Pick-Up Artist. I Love the '90s: Wolverine and Cyclops’ battle with Nerd Juggernaut in Asia leads to them disrupting a parody of Saban’s studios, where obvious Power Ranger doppelgangers appear. Review: I’ve always regarded this episode as the absolute worst of the series’ run. And there are certainly moments of it that I still hate, i.e. any second featuring Eugene the Nerd Juggernaut, but I’m not sure now that “The Juggernaut Returns” is the show’s lowest point. 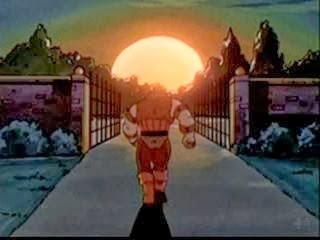 To its credit, this is the first episode of the show’s run to even attempt to flesh Juggernaut out as a character, with numerous flashback scenes taken directly from the comics. While the story of Xavier and his abusive stepbrother Cain is certainly lacking any subtlety, the original comics being adapted weren’t exactly nuanced, either. Young Juggernaut is a bully and his dad is a gold-digger (An atomic scientist gold-digger, right?). When Cain bullies Xavier a bit too much, he discovers Xavier can somehow read his thoughts; which only leads to him hating Xavier even more. The script actually has Xavier acknowledge that Juggernaut had a right to feel violated as a teenager, and the rather simplistic dynamic between the characters is given another layer as the audience learns that Cain, on some level, feared his stepbrother and his strange powers. The execution is flawed, largely due to the Juggernaut’s relentlessly buffoonish voice acting, but there is a solid idea in there. What kills the episode is the sad attempt at humor, as Eugene, a nerd so hackneyed and stereotypical it’s shocking he wasn’t created by Chuck Lorre, kills the momentum of the episode every second he’s on the air. I’ve heard this series criticized for being humorless before, but if this is what was going to pass for humor, I’m glad most episodes didn’t even try. Summary: Cyclops and Storm are alone in the mansion when they receive an emergency beacon from a Shi’ar officer. The fugitive they’re asked to apprehend is revealed as Corsair. After looking at Corsair’s locket, which has a picture of his family from decades earlier, Cyclops realizes Corsair is his father. Corsair explains that he’s being set up by a corrupt Shi’ar officier who wants to kill a witness Corsair’s protecting. Eventually, with the help of a crew member onboard the Shi’ar ship, Cyclops is able to verify Corsair’s story. The rogue officer is exposed, allowing Corsair to spend time on Earth reconnecting with Cyclops. This episode is loosely based on the plot of Uncanny X-Men #154, which featured Cyclops and Storm aiding Corsair against Sidri Hunters. Corsair also reveals his true identity to Cyclops in the issue. Storm’s model actually changes this episode! She’s wearing a ponytail, which is based on the one she occasionally wore in the comics of this era. Deathbird has a cameo during a flashback, looking exactly as she appeared in the comics circa Uncanny X-Men #274-277. “Huh?” Moment: The Shi’ar craft hunting Corsair has English characters written on its display monitors. Review: In case you’re wondering, this is not the Cyclops story that ended with the discovery of Jean Grey alive and well on Earth. That one is still over a year away, even though the show’s continuity is already several episodes past it. This is the episode that borrows heavily from the Claremont/Cockrum era from the comics, following the basic idea of Uncanny X-Men #154 while inserting several new plot elements. Douglas Booth has replaced the Sidri with a rogue Shi’ar officer, one that’s so corrupt it’s obvious he’s evil just by his crazy eyes and menacing eyebrows. During the course of the story, Cyclops and Storm go from chasing Corsair, to befriending him, to turning on him (once they discover that he has his own motivations for rescuing the witness), to going back to his side and ultimately defeating the corrupt Shi’ar villain. The twists are paced rather well, and the story manages to work in a Storm vs. Starjammers fight that’s actually pretty enjoyable. I seem to recall a string of episodes from this era that look surprisingly decent, even if they are trademark AKOM. I believe this is the first in that run; the individual drawings look more consistent and the cel-to-cel animation is a little less awkward. Cyclops looks noticeably better this episode, as the animators have followed the lead of the Philippines Animation Studio and inverted the colors on his costume. 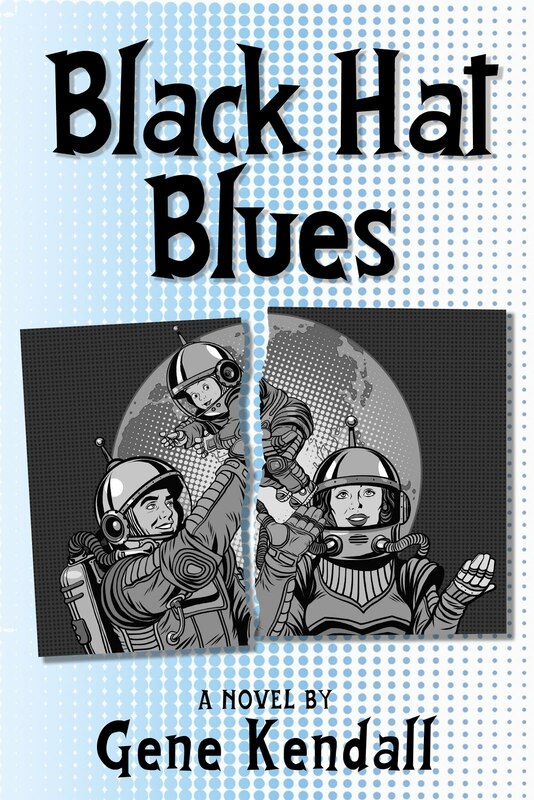 Black with blue highlights is simply a more striking look than the inverse. I complained about the color scheme of the earlier episodes of this series, but by this point I think the color design of the show is quite strong. So, Cyclops is looking nice in his spotlight episode. Good for him. For most of the episode, his acting is still outrageously bad. Norm Spencer’s performance is so needlessly loud and overbearing during the opening acts that it’s hard to buy into any of the emotional drama. To his credit, he starts to calm down and actually do some legitimate acting towards the end of the episode, which makes me wonder why the voice directors were ever happy with his standard rigid performances. If he were capable of going in a different direction, it’s amazing that no one bothered to push him towards a more natural performance years earlier. Summary: Former X-Man Iceman breaks into a series of government facilities. He’s eventually caught, and then freed by the X-Men. When Iceman refuses to explain his actions, he’s kept as a prisoner in the mansion. Jubilee sympathizes with Iceman and releases him. They sneak into a government compound and encounter X-Factor. The X-Men follow and a fight ensues. Eventually, X-Factor’s leader stops the fight, revealing he’s used it as a training exercise. Iceman discloses that he’s been searching for his ex-girlfriend, Polaris. He discovers she’s a member of the team, and romantically involved with her teammate Havok. Later, Iceman is asked to rejoin the X-Men, but he refuses. The team this episode consists of Professor X, Cyclops, Wolverine, Beast, and Jubilee. Iceman debuts this episode, along with the members of the early ‘90s incarnation of X-Factor (Forge, Havok, Polaris, Quicksilver, Wolfsbane, Multiple Man, and Strong Guy.) Forge originally appeared as an older version of himself in “Days of Future Past.” Other X-Factor members have made cameos in the past, but never played a role in the story. 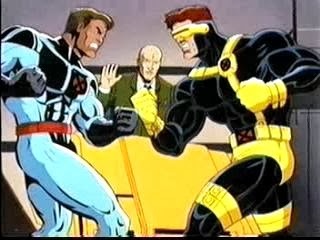 Cyclops and Havok are shown to be immune from one another’s powers, although the series never gets around to establishing that they’re siblings. Professor X creates mental projections that look similar to the Brood when scaring away a group of guards in one scene. Flashbacks to the early days of the X-Men show Cyclops, Iceman, Beast, and Marvel Girl as members. Angel isn’t included, as the producers still remember at this point that he didn’t know the team when he debuted in the first season. The original team is shown fighting the Super-Adaptoid once again, for reasons I don’t quite understand. Saban Quality: There’s a glaring animation error that has Wolverine, encased in ice, just staying on the screen as the camera pans left to show Cyclops blasting Iceman off of his feet. It’s amazing to me that this was never fixed, especially since it seems like a problem that occurred in post-production and not during the actual animation process. Review: This episode is notable for being the third, and one of the last, episodes animated in the dynamic style of the Philippines Animation Studio. 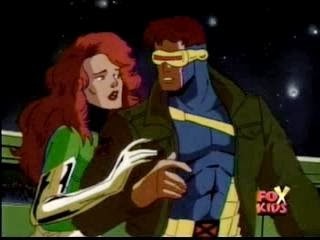 There are other episodes credited to the studio, including two chapters of “The Dark Phoenix Saga,” but this episode and the two-part “Out of the Past” are the only ones I can recall with such fluid, lifelike animation. (The second Longshot episode, which was delayed for years apparently, is similar to other Philippines Animation Studio jobs, but it always looked a little off to me. And every chapter of “The Dark Phoenix Saga” looked like typical AKOM work to me, regardless of who was credited.) Aside from the smooth animation, the characters just appear to be better drawn in these episodes. The facial expressions have a lot of life in them, and the cast doesn’t look as bogged down in superfluous detail lines. Beast seemed to be a hard character for the animators to nail, though. The dark areas of his fur are never properly inked in, and he just looks like a goofy teddy bear for much of the episode. Summary: Xavier evokes a duel of honor in order to prevent the Shi’ar from executing Jean. The Shi’ar teleport the X-Men to the Blue Area of the Moon, where they agree to fight the Imperial Guard for Jean’s life. During the battle, Cyclops is wounded, which causes the mental barriers in Jean’s mind to collapse. Dark Phoenix reemerges. Jean struggles for control, using her powers to direct a Shi’ar craft to attack her body. Jean’s sacrifice forces the Phoenix to break free of its dark nature. It takes a piece of each X-Man’s life to revive Jean’s body. When Jean awakes, the Phoenix flies away into the stars. The Supreme Intelligence of the Kree and the Skrull Empress make cameos, reciting almost verbatim their lines from Uncanny X-Men #137. They agree to the duel, provided Phoenix isn’t allowed to live. Jean wears her late ‘60s Marvel Girl outfit during the X-Men’s duel with the Imperial Guard. She cites the same reason given in the comics for switching costumes, even though the audience for the cartoon probably had no idea Jean ever wore this outfit in the past. “Um, Actually…”: The original “Dark Phoenix Saga” ends with her dying, of course. Review: And, with the exception of Jean not dying, that’s pretty much the conclusion of the “Dark Phoenix Saga” that we all remember. You can quibble with some of the voice acting, and the animation is as stiff as usual, but the episode is such a direct adaptation it’s hard to find any real flaws. The performances could've potentially killed the material, but thankfully the histrionics are kept to a minimum for the most part. The X-Men’s moral dilemma is still effectively dramatized, and the script does an excellent job of conveying the team’s loyalty to one another. The viewer really does empathize with the team in a way they haven’t before; the stakes have never seemed this high, which is exactly the mood a writer needs to strike when adapting this storyline. In retrospect, this could’ve been a bold new beginning for the series. Jean Grey wasn’t originally supposed to die in the comics; as we all know now, she was supposed to receive a “psychic lobotomy” and lose her powers at the end of the story arc. Why couldn’t the animated series follow this direction? Admittedly, Jean has been a non-entity for much of the show’s run, so the idea of her living life without powers wouldn’t have the same impact that Claremont originally intended, but it could still provide material for new episodes. Cyclops and Jean could finally have a real wedding, move away, and give Storm a chance to lead the team. (Wait, that means more of Storm’s affected voice acting. Never mind.) Actual consequences should’ve been felt from this storyline, but instead, everyone carries on as if nothing happened. The show descends into a series of one-off stories and eventually it reaches the point that you forget the last episode as soon as the next episode airs. That flies in the face of what made the show so unique in the first place, and I’m still surprised that the producers didn’t realize the major mistake they were making. Summary: Dark Phoenix attacks the X-Men, but doesn’t kill them when she has the chance. She flies to the D'Bari Star System and feeds on a star, destroying the entire star system. She then attacks the Shi'ar Star Cruiser crew that recorded the event. Meanwhile, the X-Men prepare for another fight with Dark Phoenix. After Beast devises a psi-scrambler, Cyclops senses that she’s returned home. At Jean Grey’s childhood home, the X-Men again face Dark Phoenix. Beast’s device is ineffective, but Professor Xavier is able to defeat Dark Phoenix on the Astral Plane. Suddenly, a Shi’ar craft arrives. 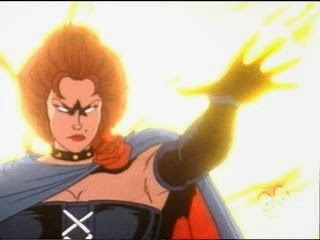 Lilandra appears, announcing that Dark Phoenix must be destroyed. Continuity Notes: Dr. Strange, Thor, the Watcher, and Eternity all make cameos as Dark Phoenix leaves Earth. Approved By Broadcast Standards: The alien star system that Dark Phoenix destroys is referred to as uninhabited, as opposed to being populated by billions of broccoli-people, as seen in the comics. The Shi’ar crew also survives their encounter with Dark Phoenix, which is a sanitized version of the events of the comic. Following Dark Phoenix and Xavier’s psychic battle, Jean remains clothed this time, rather than what we (almost) saw in the comics. Review: Just like the previous episode, if you’re a fan of the comics, there’s a lot to enjoy here. The X-Men versus Dark Phoenix in Central Park fight is another favorite from my childhood, so it’s great to see it recreated on the show, right down to the golden tree. Wolverine’s reluctance to kill Jean, even when he knows he has to, also makes its way into the show, which is actually a bit of a surprise. It’s a great moment; not so great it should’ve been used as the main internal conflict of the third X-Men movie, but it’s certainly a scene that everyone who read the original storyline remembers. Of course, this is a kid-friendly version of a fairly adult story so you’re not going to get any wholesale genocides. Nevertheless the episode still does a decent job of conveying the emotions from the original story. The main failing would be the voice acting, which isn’t at its worse here, but still feels too…“Saturday Morning” to really capture the material. Dark Phoenix is too shrill at times, and of course Cyclops has the personality of whatever inanimate object happens to be closest to you at the moment. I also have to complain about another scene that’s been cut -- Jean’s reunion with her parents. The Greys’ horrified reaction to what their daughter has turned into is one of the most emotional scenes from the comic, and it’s been cut for no discernible reason. (Perhaps it was just too disturbing for kids’ TV?) The Greys do make a brief, silent cameo towards the end of the episode, but it certainly doesn’t carry the same weight. Summary: The X-Men are taken captive by the Inner Circle, except for Wolverine, who was dropped into the sewers by Leland. When Mastermind tries to coerce Phoenix into killing Cyclops, she finally breaks free of his psychic controls and releases her teammates. Wolverine fights his way back to the mansion’s top floor and joins the X-Men in battle. Phoenix confronts Mastermind on the roof, revealing that he’s unleashed her dark side. She leaves him in a stupor after exposing him to cosmic secrets. When the X-Men are reunited with Phoenix, she proclaims that Dark Phoenix has been born. 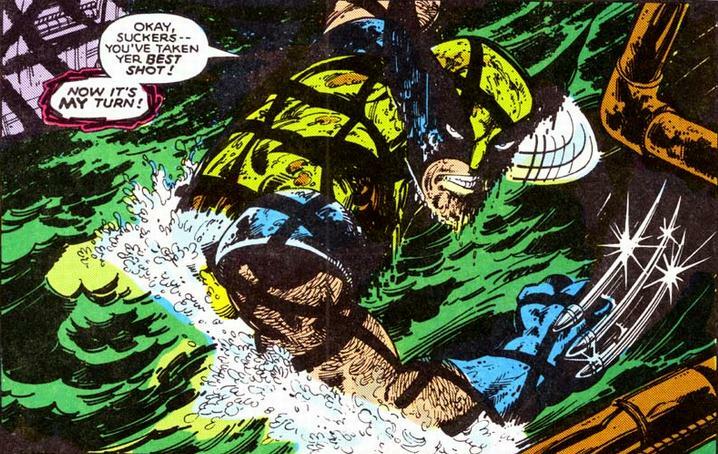 “Um, Actually…”: Although the art from the cliffhanger before the “Wolverine Alone!” issue is rather faithfully recreated, Wolverine’s brief monologue that ends with “…now it’s my turn!” has been omitted. Approved By Broadcast Standards: Cyclops is stabbed off-camera by Mastermind during their psychic duel. Phoenix’s outfit as the Black Queen has also been toned down, giving her blue leggings. The White Queen’s legs remain bare, though. 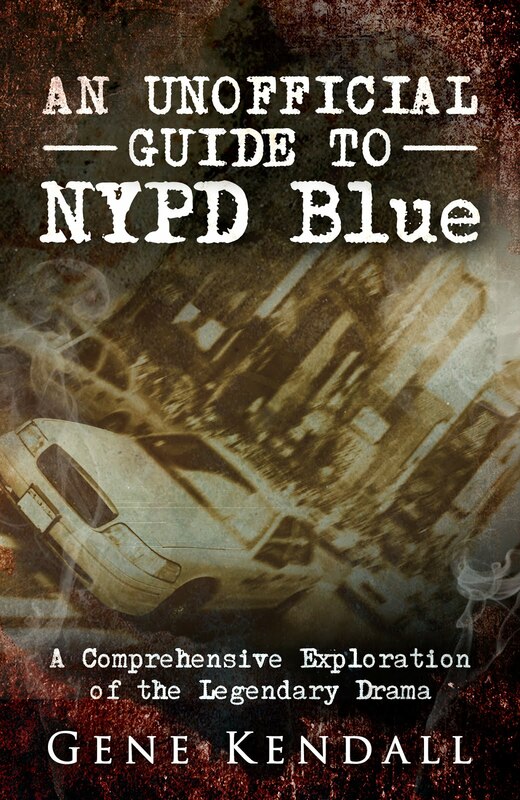 Review: While the opening chapter felt like an exercise in moving characters from Point A to Point B, this works much better. 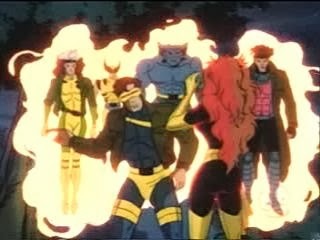 The X-Men vs. Hellfire Club fight was always one of my favorites as a kid, and seeing it recreated on the animated series was a huge deal for me at the time. (In retrospect, it might be the last time I felt genuinely excited watching the show, which was probably a combination of the series running out of “classic” stories to adapt and the sheer novelty of seeing the X-Men on TV wearing off.) The story manages to take advantage of one continuity break from the source material and create a new wrinkle for this chapter. In the comics, Emma Frost was already “dead” at this point, following her battle with Phoenix in Chicago. Since the policy of the ‘90s cartoon was always “Kitty who?” that means the X-Men never traveled to the windy city to recruit that particular mutant. This leaves Frost available for the big X-Men vs. Hellfire fight, and to Levi’s credit, he makes use of her. Frost might seem redundant given that another telepath is joining the Inner Circle, but this becomes a plot point, as Shaw makes it clear that Phoenix is now the Club’s premiere telepath. His arrogant dismissal of Frost is paid back before the next commercial break, however, after Mastermind makes his play to become the new leader of the Inner Circle. Frost casts the deciding vote for Shaw to be eliminated, which doesn’t amount to much since Dark Phoenix isn’t going to play along with their club anyway, but it’s a nice reminder of the Inner Circle’s relentless bickering and backstabbing. I like the idea that these people could potentially rule the world, but they’re so petulant they spend most of their time just plotting against each other. What is there from the comics is a welcome gift to fans of the original story. Wolverine fighting solo (along with his Dirty Harry riff), Pierce’s cyborg arm getting ripped out, Mastermind and Cyclops’ psychic duel, Shaw getting juggled by Beast’s feet (replacing Nightcrawler), Leland getting zapped all the way down to the next floor…large portions of this episode are taken directly from Byrne’s artwork. My favorite scene is another one lifted directly from the comics -- Phoenix giving Mastermind just a glimpse into how she sees the world, an acid trip that leaves him in a coma. The animation is far from perfect, it’s just as clunky as ever in places, but there are brief moments that evoke the spirit of the comic perfectly.